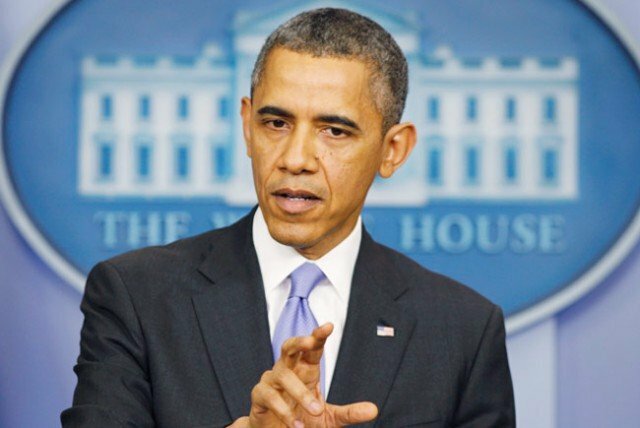 A surface-to-air missile fired from a rebel-held area in east Ukraine brought down Malaysia Airlines flight MH17, President Barack Obama has said during a press conference. The plane crashed on Thursday, killing all 298 people on board. Barack Obama called the attack “an outrage of unspeakable proportions”, saying he would ensure “the truth is out”. The US and Russia clashed at the UN Security Council, with Russia’s envoy putting the blame on Ukraine for its army’s attacks on eastern areas. Up to 20 international observers from the Organization for Security and Co-operation in Europe (OSCE) reached the crash scene near the village of Grabovo on Friday. However, Swiss Ambassador to the OSCE Thomas Greminger said the team did not get full access and were stopped by “local illegal armed groups”. The Boeing 777 was flying from Amsterdam to Kuala Lumpur. It fell between Krasni Luch in Luhansk region and Shakhtarsk in the neighboring region of Donetsk. Latest figures released by Malaysia Airlines show the plane was carrying 189 Dutch nationals, 27 Australians, 44 Malaysians (including 15 crew), 12 Indonesians and 10 Britons, along with a number of other nationalities. Thepresident said in a briefing at the White House: “I think it’s important for us to recognize that this outrageous event underscored that it is time for peace and security to be restored in Ukraine. Barack Obama called for an immediate ceasefire in eastern Ukraine. He demanded that full access be granted to investigators and that evidence should not be tampered with. Barack Obama said it was up to Russia to stop the flow of heavy armaments and fighters into Ukraine. Earlier at the UN, US envoy Samantha Power said the US could not rule out that Russians had helped the separatists fire the missile. Samantha Power added: “President Putin has committed on several occasions to working towards dialogue and peace, and every single time he has broken that commitment. He said the Ukrainian military was responsible for “punitive operations on civilian targets and infrastructure, with dozens of civilians killed”, saying the attacks must be stopped as soon as possible. Vitaly Churkin also criticized the US, which he said had “pushed Ukraine to escalate the crisis and passed the blame on to Russia”. He also questioned why the Ukrainian aviation authorities had not closed the air space earlier. The OSCE said its team spent 75 minutes at the site but its movement was restricted and it had not been able to seal off the area or secure a corridor to allow access for investigators. OSCE spokesman Michael Bociurkiw said it discovered no information about the plane’s flight recorder and it was unclear who was in charge. The rebels have accused the Ukrainian government of downing the airliner. However, Ukraine called the disaster an “act of terrorism”. Ukrainian authorities released what they say are intercepted phone conversations that proved the plane was shot down by separatists. Ukraine accuses Russia of aiding the rebels and supplying them with advanced weapons. MH17 is the second disaster suffered by Malaysia Airlines this year. Flight MH370 disappeared en route from Malaysia to China on March 8 and has still not been found.